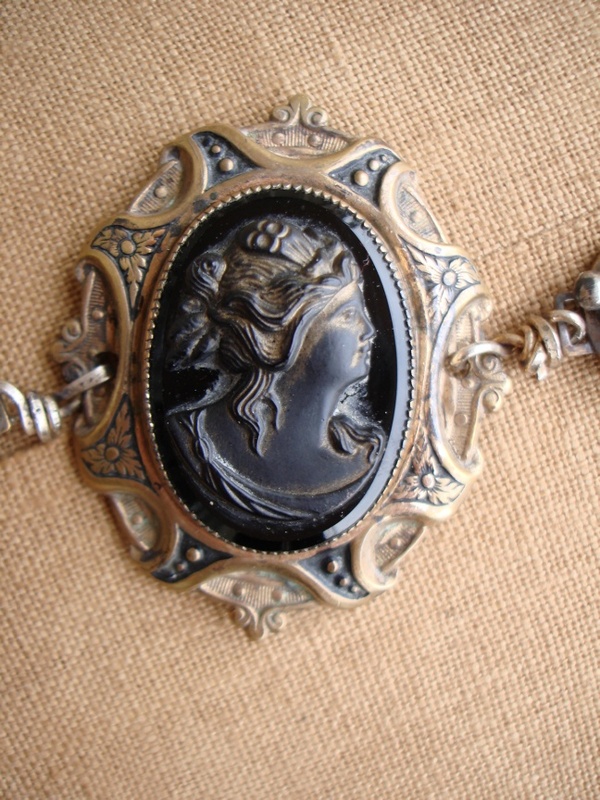 Beautiful black and gold cameo. 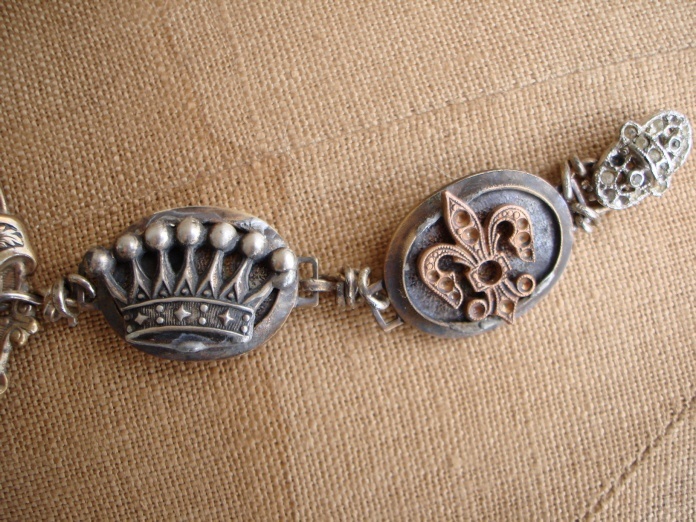 Sterling crowns, fleur-di-Lis all soldered to brass. 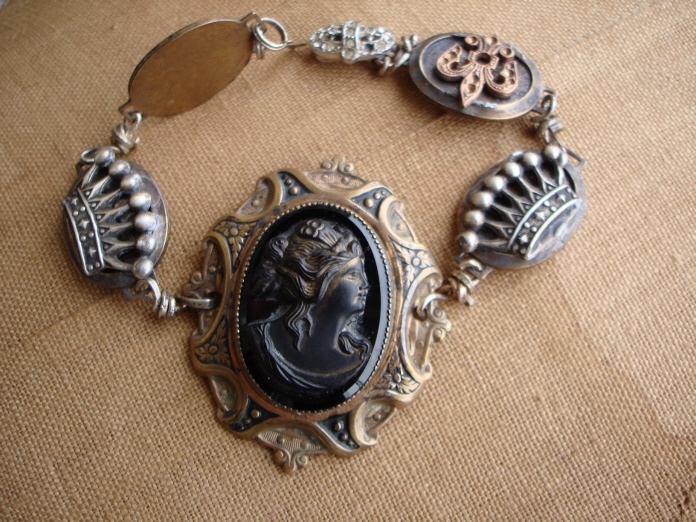 Oxidized sterling wire, vintage rhinestone clasp.